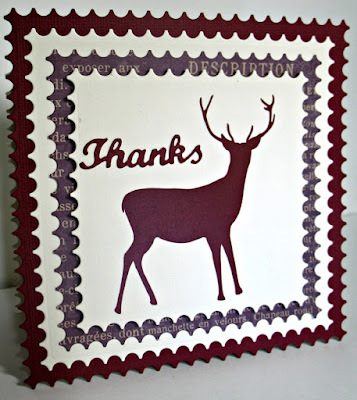 Lots of Thanks to A2Z Scrapbooking for their sponsorship this month. A great month to say thanks. We celebrate Thanksgiving in November in the U.S. and I wanted a simple Thank you. 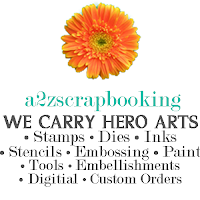 A2Z Scrapbooking has the Hero Arts digitals at your beck and call. I used A Natural Christmas Digital Cut file for this card.and kept it tailored and simple. Dark burgundy and cream make this a striking color combination. Love that image & color combo-great masculine card!